Who could ask for a better Valentine’s Day?!? We had a fantastic day at the Inn celebrating Valentine’s Day with individuals from Saskatoon Regional Medical Assocation, SMA and our guests. 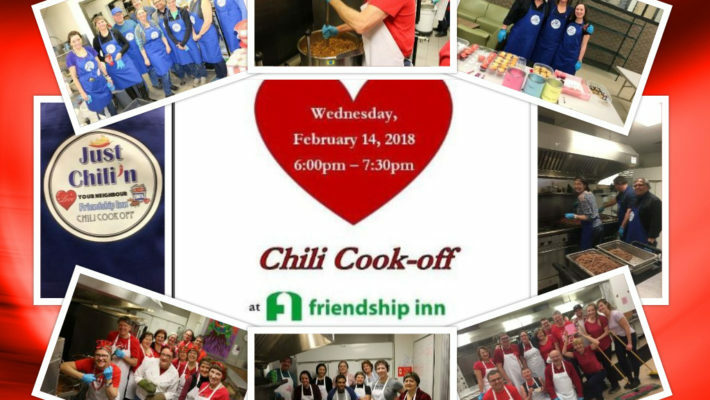 The SRMA and SMA created three teams of volunteers to come create their best chili during the day with our staff and then came back in the evening to serve a Valentine’s Day chili supper to the guests of the Inn. All you heard in the building all day was the sound of laughter and fun. It was amazing to work with these individuals as they came to cook and serve.